Following scaffolding inspection requirements are key to ensuring safety when working at height. Therefore, it is of paramount importance that inspections are carried out correctly. However, traditional inspection methods can become tedious and hard to keep on top of, for example being aware when the next inspection is due, or keeping paper copies of every inspection. These outdated processes have long called for a digital scaffolding inspection system, such as Inspect7®. Inspect7® has been created primarily to ensure clients never miss an inspection and are always compliant with the regulations. Users of Inspect7® have access to a dedicated portal which gives them full inspection information for all of their scaffolds and projects. The inspection device also displays a visual countdown to the next inspection date, so that any user of the scaffold has an immediate indication of whether the scaffold is safe to use. Inspect7® makes the inspection process simple and efficient. First of all, the inspection app eliminates the procedure of repeatedly filling in the same old tagging system onsite, as well as inputting the same data on a scaffold register. With Inspect7®, this is all done in real time using Near Field Communication (NFC) and cloud technology. 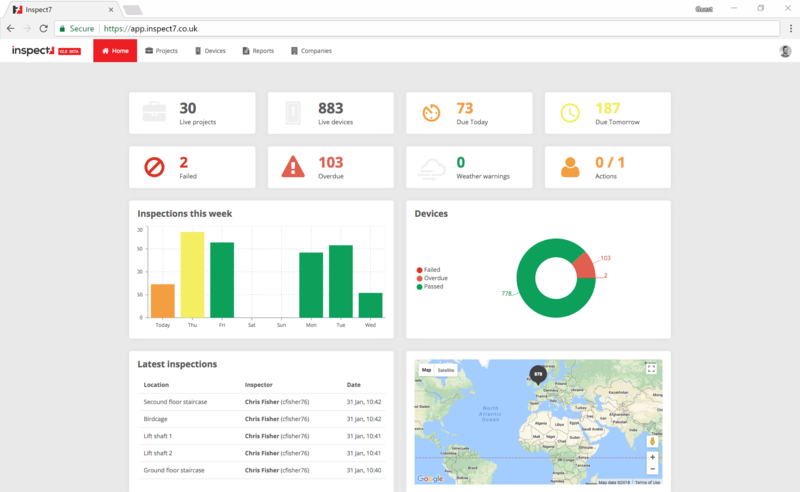 The online portal then allows users to see an overview of all of their projects in real time, and as a result, immediately informs them if an inspection has been failed or missed. Inspection reports can then be generated in a matter of clicks, downloaded and sent onto clients. This eliminates the need to keep countless paper records for filling. safetime® welcomes any queries, as well as offering an online demonstration and free no obligation trial! You can also contact us on 0330 223 1315 or hello@safe-time.co.uk for more information. Inspect7 for the masses – Only £99 per month! Fulcrum Scaffold Safety & Training Ltd raised a very important issue in their recent blog post... "Falling Industry Standards". Inspect7 now available on iOS! 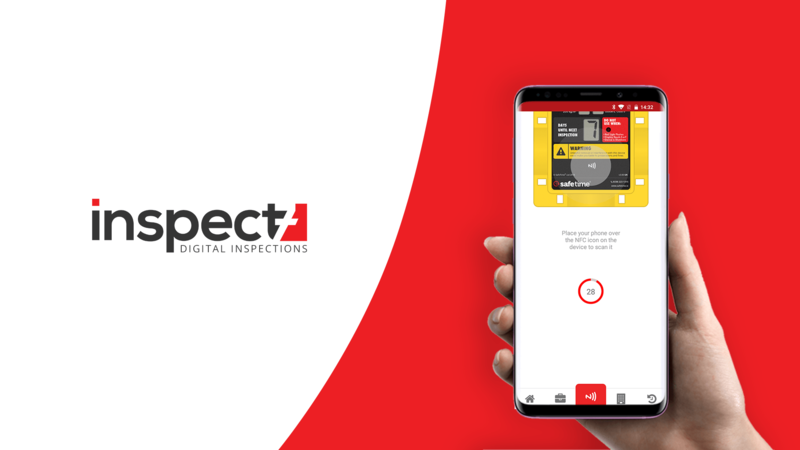 SafeTime is pleased to announce the release of our iOS application for Inspect7, the "award-winning" digital inspection system for the construction industry. © 2019 safetime ® Ltd. All Rights Reserved.